12 sections available, individual flats can be hired separately. 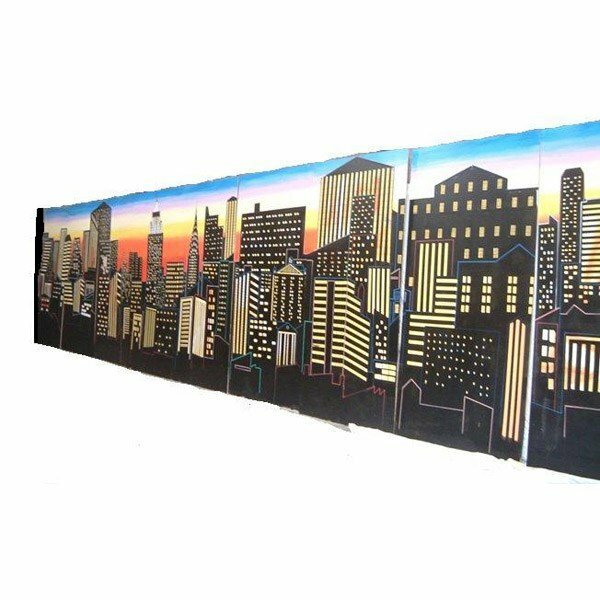 This is a great prop to create the new York Skyline, each section comes with its own brace and look very effective when stepped off from each other with uplighters placed in between. Dimensions given are for each flat.